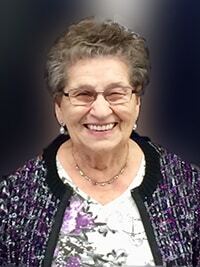 Wilma Anderson (Presniak) - Edmonton's Burial & Cremation Professionals | Trinity Funeral Home Ltd. It is with deep sadness, that the family of Wilma Anderson (Presniak), announce her passing on November 1, 2018 at the age of 93. Wilma is survived by her children Iris (Jim) and Alvin (Sherry), grandson Michael and daughter-in-law Cathy. Wilma is predeceased by her husband Cecil, son Lorne and grandson Jordan.